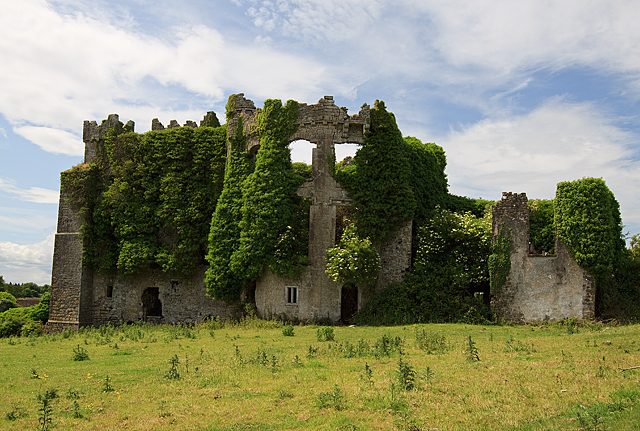 This castle ruin on farmland overlooking the Tremblestown river has two upper storeys above a basement, and private rooms within the large NW tower behind the main block. The south end has tall buttresses, two apparently appear to have been added later. The castle was probably built by Sir Robert Barnewall after Edward IV created him Baron Tremblestown in 1461, although much would appear to have been destroyed in the rebuilding that took place in the C18 or C19 after the 14th Lord's second marriage in 1797.